Last week Bernie Sanders introduced a Medicare for All bill in the Senate joined by Senator Jeff Merkley (and many others, grassroots MOMENTUM is making the difference). Meanwhile Republicans are trying one more time to repeal and replace Obamacare with a plan that would leave up to 30 million more Americans without healthcare to line the pockets of private insurance and big pharma. 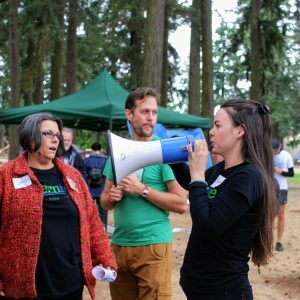 There are single payer national and local efforts as well as important work to do to stop the alt-right attacks on healthcare in Oregon and in DC. Come find out all the details, bring your ideas. Also, community announcements and good conversations, as always. Thanks to everyone who showed up for our BBQ, we had a great time! Good food, excellent company and no rain until 3 pm: Yeah! Our second anniversary / end-of summer BBQ potluck was a success, thanks to everyone! 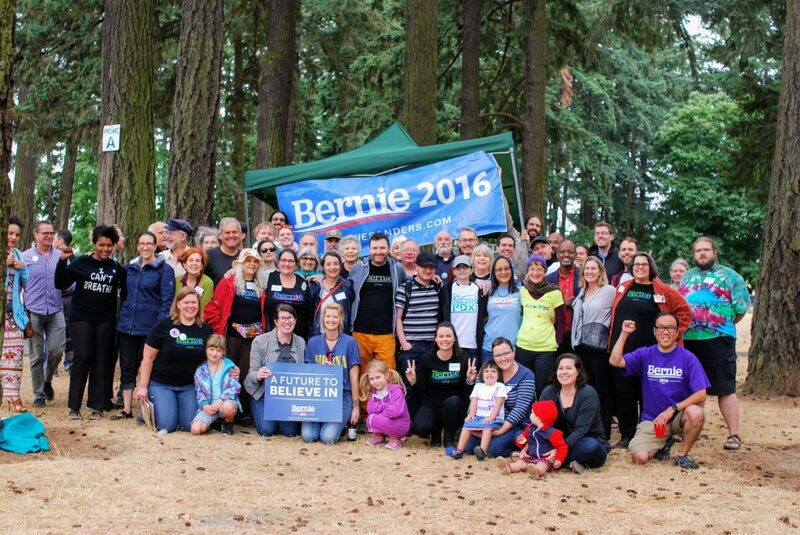 Three BerniePDX-endorsed winning candidates attended: Valdez Bravo, Rita Moore, and Stephanie D. Stephens. All three of them insisted that Bernie’s political revolution needs good people to run, maybe someone like you, feeling inspired by Bernie and the resistance? (BerniePDX can help!) We were happy to meet and chat with current candidates, and with over 100 friends, neighbors and activists from a variety of Portland organizations. 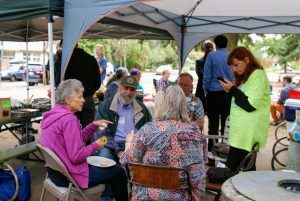 Many thanks to 47th Avenue Farm, Tea Chai Te, and Dr. Kombucha for their donations in kind to the event, and to everybody who donated food or a few dollars to help with BBQ costs! You all rock! Tuesday, 9/5, 5pm: Save DACA and pass the DREAM ACT PDX Rally! WHAT: Save DACA and pass the DREAM ACT PDX Rally w/ Milenio! Trump announced he’s going to repeal the DREAM Act enacted by Obama. Congress must act now to protect our community! We will gather at Terry Schrunk Plaza which is across the street of the Federal Building. At the Rally on Tuesday, September 5 at 5 pm WE WILL URGE THE UNITED STATES CONGRESS TO PASS THE DREAM ACT. This proposed legislation will legalized the DREAMERS with a pathway to Citizenship. BerniePDX has canceled our regular Tuesday meeting to attend this event. See you there!